This is a very nice WWI or WWII military solid brass whistle marked "N.S. 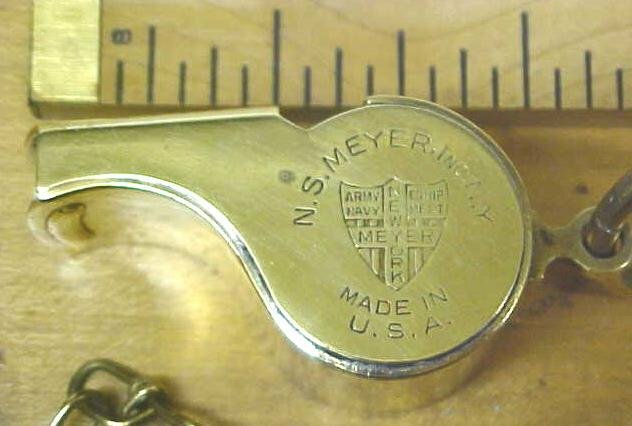 MEYER INC N.Y. MADE IN U.S.A." and also has the cross inside the shield logo marked "ARMY NAVE EQUIPMENT MEYER NEW YORK" inside the logo, all markings on one side. 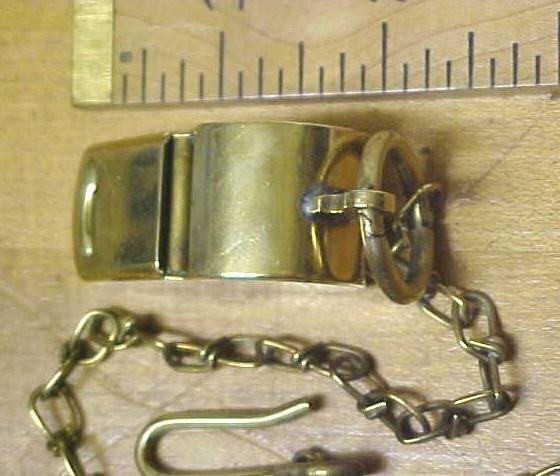 It is solid brass including the chain, hook, and link. 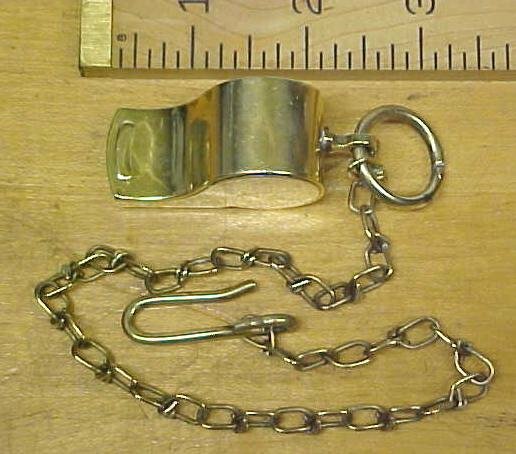 The chain is 14" long including the link and hook. The whistle is 2" long. The polished finish is near mint, very little wear, a few tiny stained spot, very nice! This whistle sound off loudly as it should when you blow into it. One of the nicest we have seen to date! From the World War I to II era. Quality made in U.S.A.! 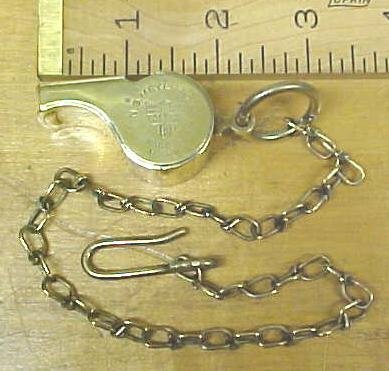 Items Similar To "Whistle Brass Meyer WWII Military w/Chain"